Milk, maas or yoghurt intake every day will reduce current nutrient gaps in the diets of most South Africans, and protect against chronic diseases in future. In childhood and adolescence bone development and peak bone mass and stature are determined by dairy intake and the nutrients in dairy. Apart from calcium and phosphate, the classical bone duet, dairy also contains protein, which is important for bone health. These nutrients are all bio-available and occur in optimal proportions in dairy. In adulthood calcium balance and optimal nutrition, which includes dairy, remain critical, as osteoporosis has become a major public health problem. Increased dairy consumption can reduce the burden of osteoporosis. Health economists have calculated that increased dairy intake can achieve considerable reduction in health care costs related to osteoporotic hip fractures. The skeleton is literally the backbone of the human body. In the absence of skeletal health, well-being is hard to imagine. The accumulation of bone mass is one of the outstanding features that accompany a child’s longitudinal and cross sectional growth. About one quarter of a child’s adult bone mineral content is laid down during the two years of peak bone mineral accretion, which is between the age of 12 and 13 years for girls and at about 14 years for boys. Apart from hereditary factors, many environmental factors influence the acquisition and maintenance of bone mass, including physical activity and nutrition. 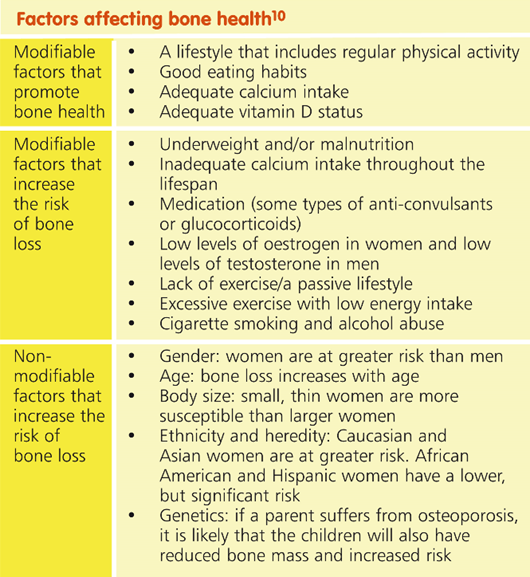 Since most environmental factors are modifiable, they should be the primary focus of bone health promotion. Osteoporosis is a skeletal disorder in which compromised bone strength predisposes a person to an increased risk of fracture. 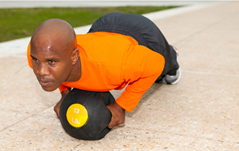 Bone strength is reflected by boned density and bone quality – the micro architecture of the skeleton. 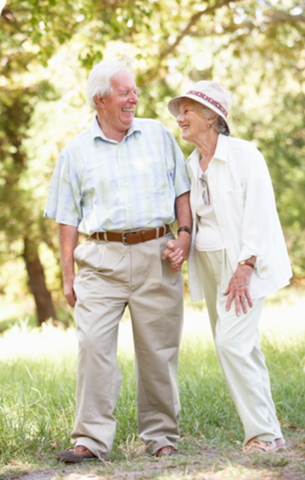 Osteoporosis has become a major public health concern worldwide. About 200 million people are affected. In the United States of America osteoporosis is responsible for almost 1.5 million bone fractures annually. It is primarily a disease of midlife and the elderly. Since it is typically invisible until the sixth decade of life, it has been called a paediatric disease with geriatric consequences. Paediatric osteoporosis, which is mainly secondary to longer survival of chronic diseases and skeletal toxic treatments, is, however, increasingly seen at younger ages. The role of micronutrients such as calcium and vitamin D in bone health is well established, although some knowledge gaps still remain. A meta-­analysis of the impact of dairy products and dietary calcium on bone mineral content in children has shown that increasing dietary intakes of calcium or dairy products resulted in significant increases in total body and lumbar spine bone mineral content in children with low baseline intakes. Amongst stunted children in developing countries, milk had a favourable effect on linear growth. There is also some evidence that the height increase seen in the human population today is a result of dairy intake. 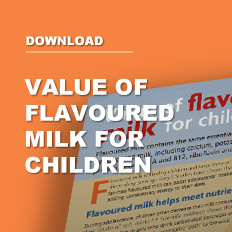 Analyses estimate that a daily cup of milk could be associated with an additional 0.4 cm g growth per year. A recent meta-­analysis could not show a significant specific effect of vitamin D supplementation on bone outcomes in healthy children, but the importance of vitamin D in the absorption of calcium is undisputed. During growth and in adulthood, a calcium­-phosphate ratio close to that found in dairy leads to positive effects on bone health. The close interplay between calcium and phosphate has been called the bone health duet. A growing body of scientific evidence indicates that dietary protein may be as important as calcium and vitamin D for sustained bone health. Protein constitutes about 50% of bone volume. Bone maintenance requires a continuous supply of dietary protein since several amino acids released during bone re-sorption cannot be recycled during protein synthesis owing to their existing cross linking. However, the net effect of protein intake on bone health is complex and includes factors such as overall food intake, dietary protein level, the source of protein, calcium intake, weight loss, dietary acid/base balance and the interactions between protein and other nutrients. Milk is a unique protein source as it contains about 36 mg calcium per gram protein, which means both protein and mineral requirements for bone health are provided by a single food. Elderly men and women who consumed 70–83 g and 66–81 g (animal) protein per day, respectively, appeared to be protected against the loss of bone mineral density. Amongst post­menopausal women (aged between 55 and 69 years), the intake of dietary protein was associated with a reduced incidence of hip fractures. The intake associated with this effect was an average of 1.085 g/kJ, of which 0.796 g/kJ was from animal sources. A randomised control feeding study of healthy post­ menopausal women (aged between 50 and 80 years) showed that calcium absorption from a low­ calcium diet improved slightly following a moderate increase in dietary protein intake (increased from 10% to 20% of total energy intake). Amongst elderly women, a higher protein intake (more than 87 g/day) was associated with optimised bone mass. A higher protein intake (17.0% of total energy for women; 15.3% of total energy for men) was associated with a reduced risk of hip fracture in individuals between 50 and 69 years. Increased total and animal protein consumption (71.2 g/day ± 24.8 g/day) by women between 55 and 92 years was significantly associated with improved skeletal health. Diet and exercise ­induced weight loss programmes that included a high dairy and protein content (30% of energy) affected bone health biomarkers in premenopausal women favourably. Studies without specific age focus have also investigated the relationship between protein intake and bone health. Low ­protein diets (1.0 g/kg or 66.5 g/day ± 2.3 g/day) may cause a reduction in intestinal calcium absorption. The finding suggests that a high-­protein diet (2.1 g/kg or 136.4 g/day ± 4.9 g/day) may significantly improve intestinal calcium absorption, as gauged by the fraction of urinary calcium of bone origin. 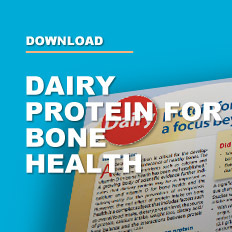 The combination of increased daily protein intake (increased from 0.78 g/kg to 1.55 g/kg) and reduced carbohydrate intake may result in elevated bone growth factor levels and reduced bone re-sorption. This favourable effect may be attributed to the stimulating effect of dietary protein on insulin-­like growth factor , which is a hormone that stimulates bone formation. Protein supplementation (with the supplement containing 90% milk proteins) is associated with improved healing of fractures and the prevention of bone loss in patients who suffered recent hip fractures. A recent systematic review and meta­-analysis has found that a common concern that dietary protein results in an acid load which promotes osteoporotic bone disease seems unfounded. In addition to calcium, vitamin D and phosphate, adequate intake of dietary protein is recommended for the promotion of bone health and the prevention of osteoporosis. This must start in childhood and continue throughout life. Owing to the interaction between calcium and protein, both should be consumed in adequate amounts to optimise the beneficial dietary effects on bone health. Dairy products – especially milk – have optimal nutrient proportions for bone health, particularly with regard to the high calcium– protein ratio. Without dairy intake, it is difficult to meet calcium requirements and some of the beneficial effects of this mineral appear to be dairy specific. Individuals and nations should strive to increase the consumption of dairy as it has a health­-economic impact: millions in health care costs related to hip fractures can be saved annually if dairy intake is increased. 1. Bonjour JP. 2011. J Am Coll Nutr. 30(5 suppl 1): 438S­448S. 2. Lötters FJB et al. 2013. Osteoporosis Int. 24: 139­150. 3. Ma NS et al. 2012. J Ped. 161(6): 983­990. 4. Zhu K et al. 2012. Clin Biochem. 45(12): 936­942. 5. Caroli A et al. 2011. J Dairy Sci. 94: 5249­5262. 6. Huncharek M et al. 2008. Bone. 43: 312­321. 7. Hoppe C et al. 2006. Ann Rev Nutr. 26: 131­73. 8. De Beer H. 2012. Econ Hum Biol. 10: 299­309. 9. Winzenberg T et al. 2011. BMJ. 342: c7254. 10. Heaney RP et al. 2008. Am J Clin Nutr. 87(suppl): 1567s­1570s. 12. Hannan MT et al. 2000. J Bone Min Res. 15(2): 2504­2512. 13. Munger RG et al. 1999. Am J Clin Nutr. 69: 147­152. 14. Hunt RJ et al. 2009. Am J Clin Nutr. 89: 1357­165. 15. Devine A et al. 2005. Am J Clin Nutr. 81: 1423­1428. 16. Wengren HJ et al. 2004. J Bone Mineral Res. 19(4): 537­545. 17. Promislow JHE et al. 2002. Am J Epidem. 155(7): 636­644. 18. Josse A et al. 2012. J Clin Endocrin Metab. 97: 251­260. 19. Esterle L. et al. 2008. Osteopor Int. 20: 567­575. 20. Dawson­Hihes et al. 2004. J Clin Endocrin Metab. 89(3): 1169­1173. 21. Fenton TS et al. 2011. Nutr J. 10: 41.